The crystal chemistry of inorganic and mineral oxides and oxy-salts (e.g. borates, phosphates etc. ), including the determination and description of crystal structures, the study of polymorphic transformations, and the synthesis and characterization of new compounds. The major experimental techniques used routinely are: solid-state reactions and single-crystal growth by flux and hydrothermal methods; powder and single-crystal X-ray diffraction, powder neutron diffraction as well as electron diffraction and transmission electron microscopy. Synthesis and characterization of novel inorganic borates. Examples of novel compounds recently discovered in our laboratory include BaBiBO4, PbMBO4 (M = Al, Cr, Mn, Fe, Ga), BaMBO3F2 (M = Al, Ga), Ba2GaB4O9X (X = Cl,Br) and Ba3Ti3O6(BO3)2. Ab-initio structure determination of crystal structures from powder X-ray and neutron diffraction data. Applications of the program FOX created by V. Favre-Nicolin & R. Cerny (J. Appl. Cryst. 35 (2002), 734-743). Examples of structures solved recently include SrBi2OB4O9, BaBiBO4 and MBi2O(BO3)2 (M = Ca, Sr). This work is done in collaboration with Lachlan Cranswick from the Canadian Neutron Beam Centre. Crystallography and crystal chemistry of some uncommon beryllium-bearing silicate minerals such as welshite, khmaralite, surinamite, makarochkinite and hogtuvaite. In collaboration with Ed Grew at the University of Maine. All the crystal structure drawings on this page have been drawn with XTALDRAW. - J. Barbier*, L.J.M. Davis, G.R. Goward & L.M.D. Cranswick (2009) "Ab initio structure determination of SrBi2OB4O9 by powder X-ray/neutron diffraction and NMR spectroscopy", Powder Diffraction 24, 35-40. - E. S. Grew*, U. H�lenius, M. Pasero & J. Barbier (2008) "Recommended nomenclature for the sapphirine and surinamite groups (sapphirine supergroup)", Mineralogical Magazine 72, 839-876. 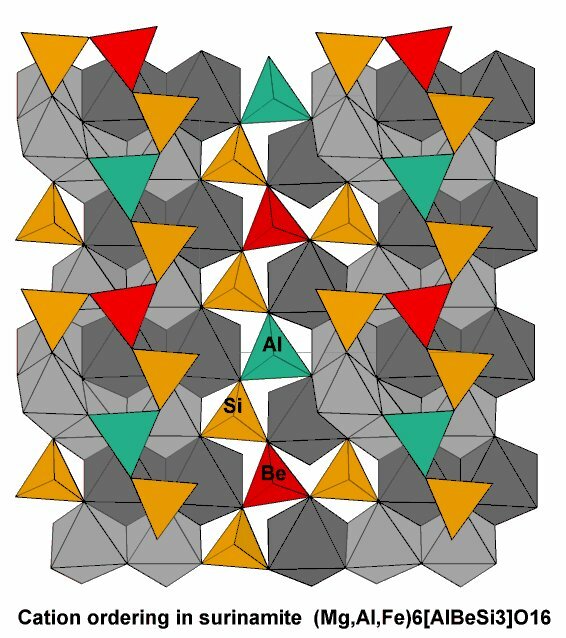 - E. S. Grew*, J. Barbier, J. Britten, U. H�lenius & C. K. Shearer (2007) "The crystal chemistry of welshite, a non-centrosymmetric (P1) aenigmatite-sapphirine-surinamite group mineral", American Mineralogist 92, 80-90. - J. Barbier* & L.M.D. Cranswick (2006) "The non-centrosymmetric borate oxides, MBi2B2O7 (M = Ca, Sr)" Journal of Solid State Chemistry, 179, 3958-3964. - E. Grew*, J. Barbier, J. Britten, M. Yates, V. Polyakov, E. Shcherbakova, U. H�lenius & C. Shearer (2005) "Makarochkinite, Ca2Fe2+4Fe3+TiSi4BeAlO20, a new beryllosilicate member of the aenigmatite-sapphirine-surinamite group from the Il'men Mountains (southern Urals), Russia", American Mineralogist, 90, 1402-1412. - J. Barbier*, N. Penin, A. Denoyer & L.M.D. Cranswick (2005) "BaBiBO4, a novel non-centrosymmetric borate oxide" Solid State Sciences 7, 1055-1061. - J. Barbier*, N. Penin & L.M.D. Cranswick (2005) "The melilite-type borates Bi2ZnB2O7 and CaBiGaB2O7" Chemistry of Materials 17, 3130-3136. - E.S. Grew*, J. Barbier, J. Britten, M.G. Yates, V.O. 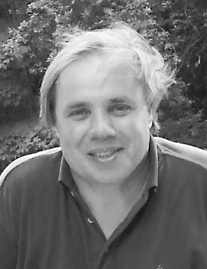 Polyakov, E.P. Shcherbakova, U. Halenius & C.K. Shearer (2005) "Makarochkinite, Ca2Fe5TiSi4BeAlO20, a new beryllian member of the aenigmatite-sapphirine-surinamite group from the Il'men Mountains (southern Urals), Russia" American Mineralogist, 90, 1402-1412. - H. Park, A. Bakhtiiarov, W. Zhang, I. Vargas-Baca & J. Barbier* (2004) "Non-centrosymmetric Ba3Ti3O6(BO3)2" Journal of Solid State Chemistry 177, 159-164. 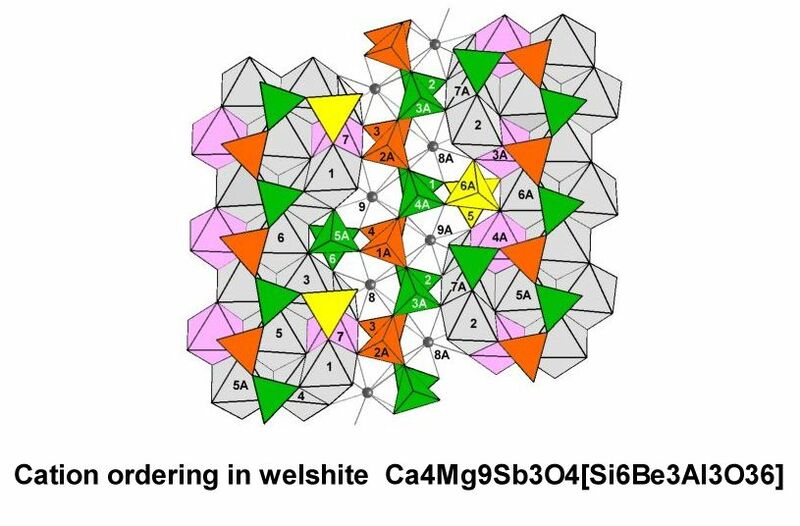 The background image represents the crystal structure of a new noncentrosymmetric borate melilite, CaBiGaB2O7, synthesized in our laboratory. 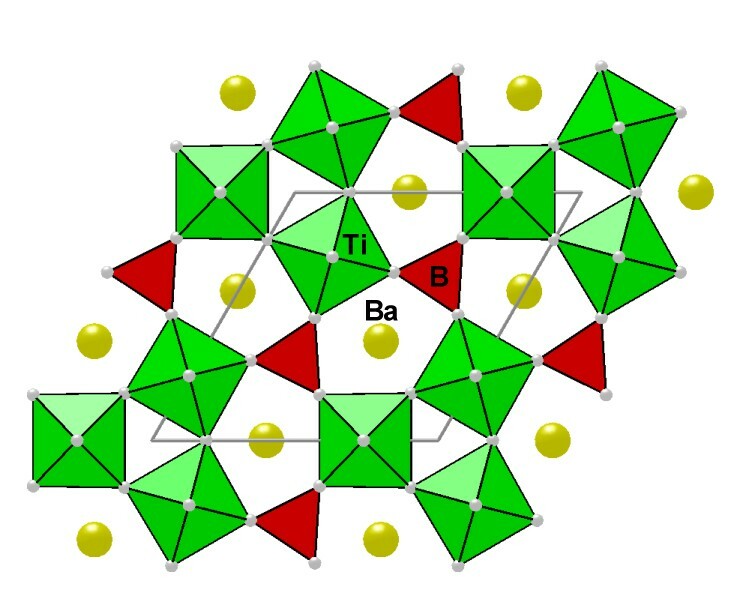 The structure is built of layers of corner-sharing GaO4 tetrahedra (orange) and B2O7 tetrahedral dimers (green), with Ca2+ and Bi3+ cations between the layers.